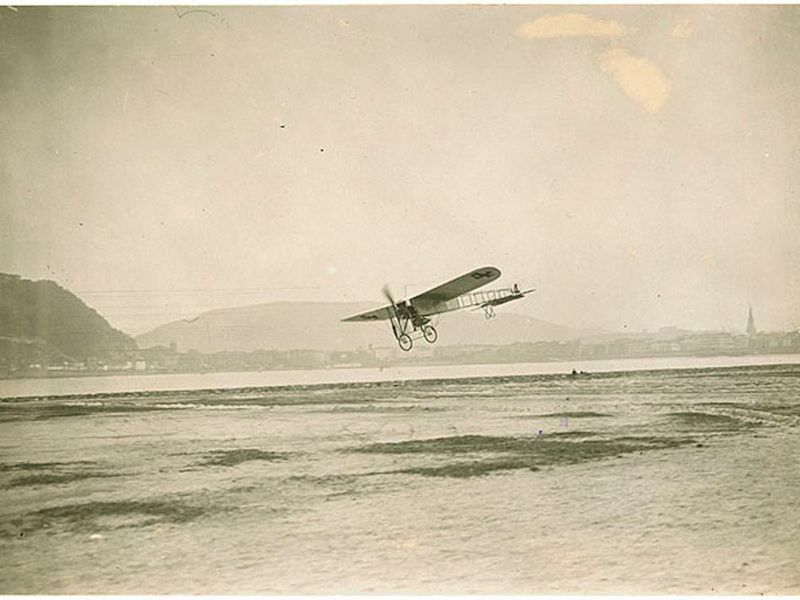 The first ever reconnaissance flight was flown by Captain Philip Joubert de la Ferté on 19 August in a Blériot XI. He had no observer but was asked to check if enemy troops were present in an area to the west of Brussels. Struggling with cloudy weather and with very little knowledge of the countryside, Joubert soon found himself lost but was reluctant to come down in order to discover his location. However, when he spotted what seemed to be a parade ground in a military garrison in a large town he decided to land and ask where he was. He discovered he was in the town of Tournai, and after an “excellent lunch” with the commandant of the garrison he flew on in the afternoon. Once more he quickly became lost and when short of fuel had to land again. But this time the local gendarmes came out and threatened to arrest him, as he had not been issued with identification papers and they thought he was a spy. He was helped by a linen manufacturer from Belfast who happened to be visiting the town. The salesman draped a Union Jack over the aircraft. Once the locals understood who Joubert was the mood changed. He was able to buy petrol and eventually get on his way. He returned to his landing ground [airfield] near Mauberge to deliver his report at 5.30 that evening.